Calling all Caribbean shopaholics and fashionistas. There is a new “Nirvana” in our midst and it’s called the Mall of San Juan. Over 90 stores, some of them rather exclusive to this region and a very modern and stylish design, makes this mall my new go-to for shopping trips in the Caribbean. 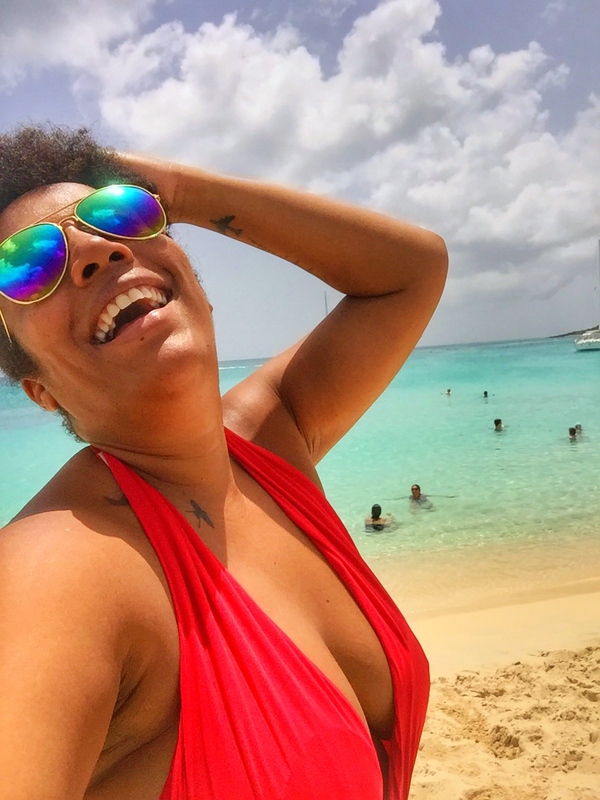 Last August I visited the Dominican Republic and like with every destination I visit I try to reach out to one or more of my social media buddies from that particular place. So, I sent a message to my fellow writer at Women Who Live on Rocks (WWLOR), Jen from the hilarious Drinking the Whole Bottle, who lives in Santo Domingo to see if she wanted to meet. A girl after my own heart Jen suggested we meet at a quaint sea side restaurant close to the Malecon not too far from where I was staying in the Zona Colonial. We clicked immediately and soon after a cold Presidente or two we started planning sh*t, our minds working in synch. “You know what would be cool? If all the writers of the WWLOR website could get together”, says one. “Yeah! like a retreat. Or better yet a RockTreat”, screams the other. And so a seed was planted. We of course couldn’t wait to tell our fearless head island girl at the WWLOR headquarters, Chrissann about our discussion. Apparently she had been thinking about organizing the same thing for a while. A plan was hatched. Skype calls were planned. Agendas were consulted. We decided on a suitable location and date and Chrissann ran with it, organizing everything from a place to stay to activities and margarita days. What was just a seed a mere 8 months ago blossomed into the first ever Island writer’s RockTreat. After counting down the months and weeks I am now counting down mere days. Jeepers, how did the day get here so fast?